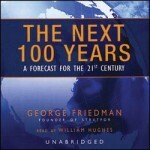 Most projections of future trends in national power fail to appreciate the importance of three crucial factors: (1) the declining EROEI of energy resources (including, but not limited to, “peak oil”); (2) the importance of human capital to economic growth, especially in developing countries’ attempts to “catch up” to the advanced world; and (3) the impacts of climate change, which are projected to be more and more catastrophic with every passing year. Disregarding these trends produces predictions such as George Friedman’s (STRATFOR) argument that Mexico – a low human capital country experiencing plummeting oil production and growing water stress – will become a superpower by 2100. Using my current estimates of Comprehensive National Power as a base (an index of power that attempts to express a nation’s economic, military, and cultural power in a single number), I will specially stress the above factors in my analysis of future global power trends. Some results will look plausible and familiar (e.g. China overtaking the US as a superpower by the 2020’s); others will appear utterly bizarre (e.g. 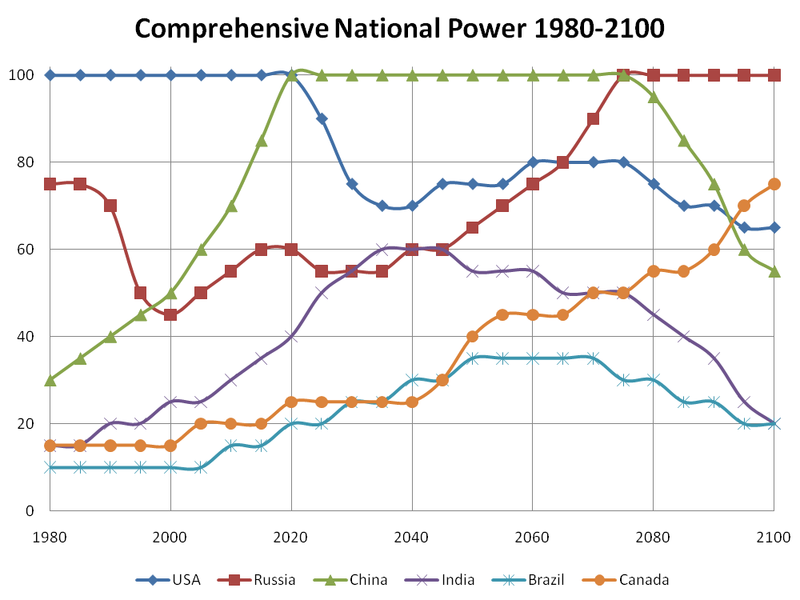 Canada becoming a major Great Power in by the end of the century, while India and Brazil plummet back into obscurity). But they are nonetheless all plausible and even likely outcomes, derived from bringing together worlds that all too often are considered independently of each other: the economy; human capital; geopolitics; energetics; and climate change. There may of course be unexpected discontinuities – popularized as Black Swans by Nassim Taleb – that unravel these projections (the probability of their happening increasing exponentially over time). This will be covered in greater depth below. In the meantime, bear this caveat in mind as you read the rest of the post. The US is the current superpower, but China is rapidly making up ground. Its real GDP is now at $10 trillion, though according to some estimates it has already overtaken the $14.5 trillion American economy. Some critics claim that nominal GDP is a better measure of power, even using these figures to claim that even at 10% growth it will be decades before China surpasses the US. This is a product of economic illiteracy, because it doesn’t take into account the convergence of Chinese price levels to those of developed countries (its nominal GDP has been expanding at more than 20% in the last 5 years). There are a number of other factors that are often quoted to predict the doom of China’s rise, such as: (1) Growing regional disparities; (2) Income inequality; (3) Environmental degradation; (4) Bad loans and financial collapse, aka Japan; (5) Aging population; (6) Excessive export dependency; (7) Social unrest; (8) Authoritarian nature of its Marxist-Leninist political model. Suffice to say that they are either common to most industrializing countries (1-3, 7); will only seriously affect it by the time its already developed (4-5); are overestimated (4, 6); or it is unclear why they should derail its economic ascent for long even if they lead to a democratizing revolution (7-8). I address all these points in detail here. In any case, most of these are factors have yet to be realized, whereas many of the same trends undermining US power are already in evidence. You can point out the accumulating weight of China’s bad loans, but it is the Western financial system that had to be bailed out in 2008 at social expense; you can argue that the aging of China’s population will bankrupt its (minimal) social net, but it is the US that is facing a budget deficit of >10% of GDP and a national debt soaring into the stratosphere. China is already the world’s largest manufacturing power. On current trends, it is due to overtake the US economy by the mid-2010’s (followed in nominal terms sometime in the 2020’s, as restrictions on the yuan are lifted and it appreciates). Since China produces its own military hardware, real GDP is what matters; consequently, it will take less relative effort for the PLA to match and overtake the US (especially in the crucial East Asian region and the Indian Ocean). As Paul Kennedy noted in The Rise and Fall of the Great Powers (of which, incidentally, the Chinese are great fans) military and political power follows naturally in the wake of economic power, whereas trying to achieve results from the opposite directions leads to the “imperial overstretch” that contributed to Soviet collapse and is now undermining American power. Which brings us to the last point. China’s population is four times bigger than America’s, and human capital among the youngest generations is now as good as the US average. This makes its per capita convergence – and consequently, its ascent to economic primacy – almost inevitable. But rather than assessing the situation dispassionately and preparing for a strategic retreat, the US is digging in all fronts: foreign wars, deficit spending, oil dependence, political gridlock, etc. This increases the probability that US decline will take the form of a sudden collapse, as of Argentina’s in 1999-2002, instead of fading away like the British Empire after 1945. The cultural decline will be slower. It took Latin more than a millennium after the collapse of the Roman Empire to lose its status as a lingua franca. Needless to say, the US will still retain a great deal of power by virtue of its large population and developed economy, it will remain in second place, almost no matter what, well into the 21st century. Furthermore, it will retain its deep ties – economic, cultural, etc. – with the Anglo-Saxon world (the UK, Canada, Australia, New Zealand) and, to a lesser extent, Europe. Hollywood, Silicon Valley, and the Ivy League will remain staples of global culture and technology. However, there’s only so much power you can exercise through the English language, Google, or even Chuck Norris. For everything else there’s China – after a two hundred year break (a mere blip in its millennial history), the Middle Kingdom will have returned to its rightful place at the center of the world. China is now roughly where South Korea was in 1990. A similar growth profile will by 2030 leave its economic power equal to 25 of today’s Koreas. Imagine that! It’s unclear what political system China will have by then. Democratization on the Taiwanese model is not inevitable. The Chinese Communist Party (CCP) has studied the Soviet collapse in rigorous detail and is determined not to repeat its liberalizing mistakes. What I consider at least equally likely is an emergence of a “consultative Leninism”, in which the current NEPist model is opened up to democratic elements (e.g. competitive local elections; policy-making based on opinion polling) but under the continuing hegemony of the CCP. This could be China’s own, sovereign road to democracy. Other possibilities are also possible, e.g. a Singaporean authoritarianism, or “managed democracy” in the style of Putin’s Russia. But short of a reversion to Maoism – which is exceedingly unlikely, given that China now has a commercial class that would strongly oppose it – it’s unclear how the widespread mantra that political change must be accompanied by a cessation of economic growth can be justified. China’s rise will be accompanied by the flock of BRIC’s trailing in its wake: Brazil, Russia, and India. The first two will enjoy a massive resource windfall from selling their plentiful energy, mineral, and water (in the form of food) reserves to a world made increasingly ravenous by depletion elsewhere and the effects of an increasingly destructive and chaotic climate. 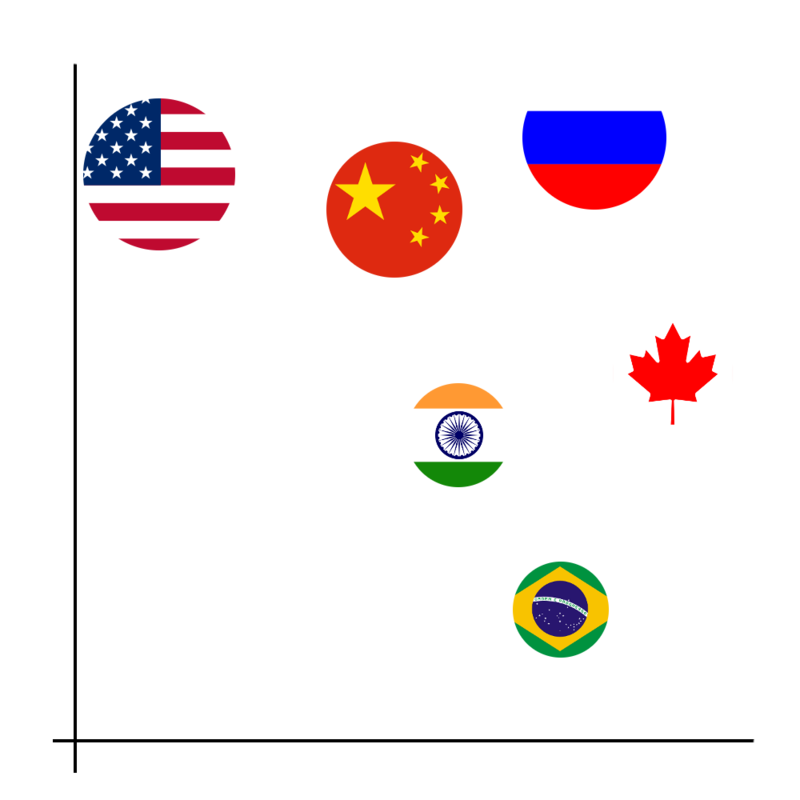 Russia will remain a first-class Great Power, and India will join its ranks; Brazil will be the most prominent of the second-class powers, which will also include France, Canada, Germany, Japan, the UK, Turkey, and Korea. As with China, there are many reasons cited to explain for why Russia will fail to achieve its promise, such as (1) demographic decline; (2) corruption; (3) resource-based economy; (4) crumbling infrastructure; (5) authoritarianism. All these factors are either exaggerated (1-5), typical of most middle-income countries (2, 4), or it is unclear why they are necessarily negatives at all (3, 5). But it also has great strengths. Russia combines the BRIC’s fiscal sturdiness and economic dynamism (both lacking in the West) with a GDP per capita that is almost twice that of the next richest BRIC, Brazil. Its human capital is on a par with the developed world’s, allowing for an easy convergence. Crucially, Russia is perfectly positioned for the coming age of “scarcity industrialism”, in which food, energy, and energy prices soar and global warming opens up vast regions of the country, including the Arctic, to shipping, energy production, agriculture, and habitation. Even at current growth rates of 4% per year, Russia should converge to European income levels by 2020-25 and spend the next few decades comfortably, its energy riches shielded by its nuclear umbrella. Obviously Russia lacks the population mass, at least at this stage, to become a true superpower (even if it absorbs the other post-Soviet nations into a Eurasian union). This is not the case for India, which will overtake China to become the world’s most populous nation by 2025. But within that fast-growing population illiteracy is still rife and 47% of children remain malnourished. Though it suffers from many the usual ailments of low-income countries – creaky infrastructure, caste-based inequalities, sluggish courts and bureaucracy, etc. – it’s India’s low level of human capital that is the primary cause of its falling so far behind China (manufacturing output is an order of magnitude lower, and the poorest Chinese provinces are equal to the Indian average). Nonetheless, India has the coal to power itself, and temperatures will remain within acceptable bounds for producing stagnant grain harvests for at least the next few decades. And quantity counts. That is why India will become a first-rank Great Power, equaling Russia and approaching the US. With its ample lands and resources (e.g. iron, oil), not to mention its successes with sugar cane-derived ethanol, Brazil is set to enjoy – much like Russia – a comfortable existence as a regional hegemon in a world of high prices for food, energy and minerals. Its military strength is paltry, but irrelevant given its distance from other Great Powers. It is also the least corrupt of the BRIC’s. However, its prospects for true superpowerdom are constrained by relatively low human capital; as its economy wasn’t distorted by a legacy of socialist mismanagement (as with China or Russia), its GDP per capita is already, more or less, “where it should be.” In the background, Canada will be getting very rich off supplying fuels and water to an increasingly parched and energy-starved US. However, for the time being its profile will remain modest. The European Union is conspicuous by its absence. Europe is no longer united by the memory of war and the Soviet threat, and each country concerned above all for its own national interests. This is not a stable foundation for a union, and as such it will likely retreat into something like a glorified free trade area by the 2020’s. Real power will be concentrated among the big European Powers, which will carve out spheres of influence and compete with each other for neo-colonial influence: e.g. 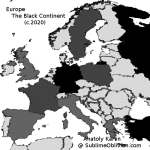 France (Maghreb); Germany (East-Central Europe); Turkey (Balkans, Azerbaijan, Arab world); the Scandinavian bloc; the Visegrad bloc. Arguably there is already evidence of this in the Anglo-French effort to oust Qaddafi. Read more here. No European Power will have the mass to become a first-rank Great Power, though it may be (marginally) possible for France and definitely possible for coalitions of European Powers. By themselves, all the European nations will be lingering near the bottom of the CNP scale. There is no point discussing any other country or alliance. NATO is becoming more irrelevant with each passing year. Japan is technologically advanced, but reliant on the US for its security and dependent on the same oceanic supply routes as China; as soon as the latter becomes the new regional hegemon, Japan’s effective sovereignty is history. Indonesia is similar India, but five times smaller. South Africa, Mexico, Australia, Nigeria, Iran, and Saudi Arabia are all some combination of (1) too underpopulated, (2) too underdeveloped, and (3) too vulnerable to climate change. Beyond 2050 we are getting into very foggy territory. Just think of an educated European observing the world one century ago, in 1911 – could he have predicted Germany’s utter collapse and occupation, and the rise of Russia (now known as the USSR) as a superpower along with the (vastly stronger) US superpower? And could that observer in 1951 have predicted that a China only recently consolidated under Communist control, after a century of stagnation, invasions and warlordism, would just fifty years later have overtaken a Russia that had become a basketcase? China and the US cooperate to build a massive global geoengineering project in the 2040’s that succeeds at checking global warming. This removes the conditions for Russia’s rise to a dominant position. Facing desiccation in the West and flooding in the South, the US annexes Canada. As a result, it becomes the greatest Power in the world. There is a total war between nuclear Powers, perhaps triggered by a Chinese land grab for the Russian Far East. Whoever “wins” (if that’s the right term), well, wins. The development of nuclear fusion, space-based solar power, or some other technology, that reverses the secular trend towards declining EROEI. This massively undercuts the power of major resource exporters, such as Russia, Canada, and Brazil. A transition to sustainable development. With global CO2 emissions setting a new record in 2010 (just one year after the deepest global recession in the past half-century), and setting the 2C warming target practically out of reach, there is little hope of that without geoengineering (after 2C the process is expected to display a runaway dynamic due to positive feedback loops). But miracles happen, sometimes. A technological singularity. Perhaps this catapults the nation where it first appears into a dominant leadership position, much like Britain during the industrial revolution; or maybe it is so transnational and transformative in its scope that it makes the very idea of nations and national power obsolete. By definition, a technological singularity is beyond the “event horizon” of our limited imaginations, so there’s little more I can say on this. For the purposes of completing the scenario to 2100, I will assume that the above don’t occur. Instead, the dominant forces in previous decades – economic convergence; declining EROEI and minerals accessibility; accelerating climate change – remain constants. By the second half the century, climate change will start to dominate over everything else. The latest projections tend to lean towards the high end of the IPCC’s 1-6C warming range for the next century (the scariest of them show that by 2300 most of the world outside the Arctic may become downright lethal during summer). Warming of 4C is the point at which agriculture starts to not only experience difficulties but outright collapse throughout most of the equator and mid-latitudes. All the problems currently experienced by China and India with stagnant grain harvests will increase further, requiring very costly counter-measures. Now this is not to say that there will necessarily be mass famine and “dieoff”, as doomers like to predict. It is certainly a possibility, especially under the most severe warming scenarios, but growing food production in Russia, Canada, and even East Africa may make up the difference. In particular, China should be relatively safe, because by then it should be a developed country. On the other hand, the Chinese state will have its hands full mitigating disaster after climate disaster. The spate of rebuilding after the flooding of New Orleans, which actually boosted US GDP, was one thing; when commercial metropolises like Shanghai are getting flooded and coastal property prices devaluing to nothing, it is economic and financial apocalypse. What’s possible, then, is the following scenario. 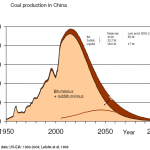 By the 2070’s, the Chinese state becomes so preoccupied with maintaining food stability, and the energy and mineral flows that enable industrial society in general, that the surplus resources and administrative capacity to do anything else diminish. This is not a new development in its history. For much of the 19th century, Qing China was the world’s biggest economy by GDP, even though Britain was becoming far more industrialized. This was because China was at its Malthusian limits; the population level was stable, but it was always on the edge of famine, and presided over by a government made weak by lack of taxable surpluses and unable to check the corruption and independence of its own public officials. The state was unable to defend itself, to modernize the country, or to guarantee its independence. India is in a worse bind, and not just because it will likely remain less developed than China to that time. The Chinese, at least, have the reserve option of migrating some of their surplus population to Tibet (or East Africa, if they conquer it). India doesn’t have that, and faces the unwelcome prospect of a further flood of excess population – this time from a collapsing Pakistan (the Indus to run dry by late century, as Himalayan glaciers melt) and inundating Bangladesh. A consequence is that states with far smaller populations and economies, but greater surplus resources – will emerge as new Great Powers. Primarily, this means Russia, but Canada would also be in this category, as will Scandinavia, Alaska, and (in one or two more centuries) whoever settles or controls Greenland. By virtue of their control over most of the world’s remaining critical resources – water (not only for food, but electricity); gas; coal; metals; whatever’s left of oil – they will wield unprecedented strategic power over the countries to the south. Perhaps a colonial relationship will develop, in which the Arctic nations send resources and allow southern workers to farm their lands in exchange for selling off their industrial assets and eventually ceding political sovereignty. In the very long term, this will logically lead to the development of caste-based societies in Russia and Canada, as the sheer magnitude of climate refugees would mean that in any integration policy, it would be the indigenous inhabitants who would have to do most of the integrating (and hence politically impracticable). By the end of the century – a world of two Arctic superpowers, Russia and Canada?